When talking about car rivalry, most enthusiasts will think of Evos versus WRXs or 3 Series versus C-Class. These battles get pretty intense with manufacturers doing their best to be better on the road and on the track. 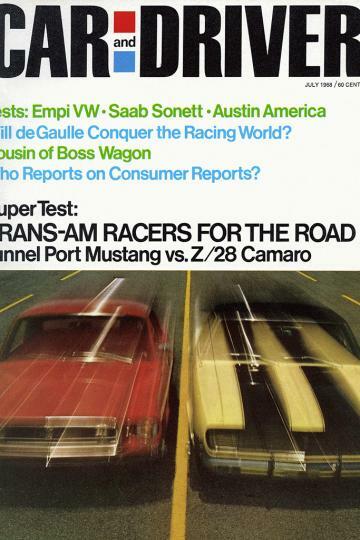 While not really obvious in our local context, Ford's Mustang and Chevrolet's Camaro have been at war with each other since 1966. That said, General Motors maintains that it feels the rivalry is a very healthy one as it is 'driving force for constant improvement'. 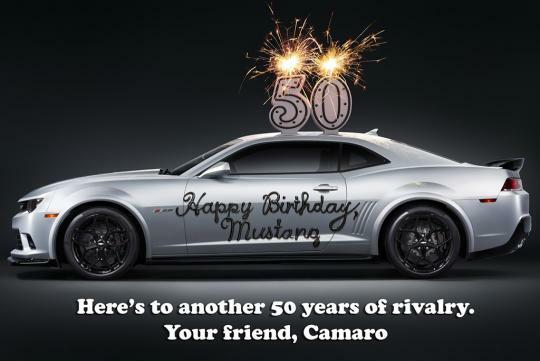 So with the Ford Mustang's 50th birthday around the corner, General Motors sent a happy birthday card starring the new Camaro Z/28 with the caption - "Here's to another 50 years of rivalry. 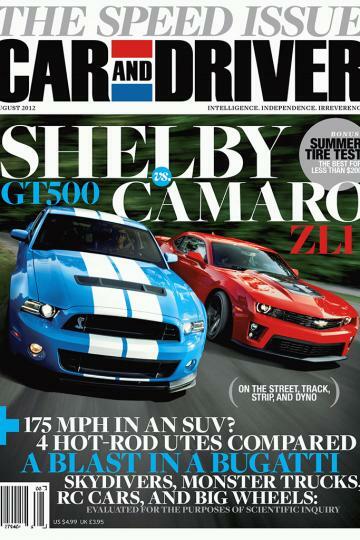 Your friend, Camaro". We applaud the classy move by Chevrolet! But will never come S'pore,their huge engines are road tax killer.